Over the past couple of weeks I must have smelt around 30 perfumes whilst on the hunt for the perfect scent for our wedding day. I had a few criteria, but ultimately I wanted something which smelt beautiful… on me. There are so many fragrances out there, it’s useful to have some criteria before you head to the shops to avoid becoming overwhelmed with the choice. I knew that for my wedding scent I wanted something feminine, that would last even in the heat out in Santorini, something which I could buy again in the future, ideally with a pretty bottle that would look nice in the w getting ready photos. By having this in mind, I was able to narrow down my search and focus on the perfumes that might work for me. I’m a bit of a perfume addict and I currently have around 6 on the go. I tend to put them on my Christmas and birthday list as I have fairly expensive taste when it comes to fragrances. When looking for my wedding scent, we had a budget of between £50-£70 so I didn’t even consider perfumes above this price range. Following on from budget, it’s important to consider the size you are hoping for. Perhaps you would settle for a smaller size of a more expensive scent? I knew I wanted something 50ml so it would last quite a while so I only compared this size when looking at my options. From your perfume tester sticks, you’ve probably worked out which ones you like and which are maybe not for you. Choose your favourite 3 or 4 and head back to the shops to see how they smell on you. It’s really important to check that you like it on yourself, and not just on the stick. This is what was time consuming, but it’s definitely worth the effort in the long run. I narrowed my choices down to three. On the first day I sprayed myself with two different scents, one on each wrist. Don’t do this! It can become confusing which one is which, and the fragrances can end up mixing and not giving you a true representation of either one. On my second trip to Boots, I was loitering around the perfume section and a lovely assistant came over to ask if I was ok. When I explained that I was trying to choose my bridal scent and that I couldn’t decide between three of them, she offered some advice and was also able to give me a sample of one of the scents to take away with me. This meant I was able to spray one of the other fragrances and have one to try later that night. If you don’t ask, you don’t get, and they may just have a sample available of the perfume you have your eye on. I found that when I wore one of the scents, my daughter loved it, but another one she really hated. I also made sure to ask Ed’s opinions on each one as it was important to me that he would like the fragrance I wore on our wedding day. It’s also worth taking notice of compliments from friends and strangers when wearing different perfumes. Although you should buy something which you love, it’s always nice to be reassured by others. I know I said not to focus on what other people think of a fragrance they have tried as it’s all about individual taste, but some things are worth looking out for. Phrases like ‘only lasted a couple of hours’ should flag up warning signs, especially if you are looking for something long lasting. I loved the look and initial smell of Miss Dior Blooming Bouquet but my research showed me review after review saying the same thing, the scent just didn’t last. Leading on from the last point, know the difference between eau de toilette and eau du parfum. It may sound obvious, but I actually didn’t know what the real difference was. It turns out it’s generally down to the longevity of the scent. 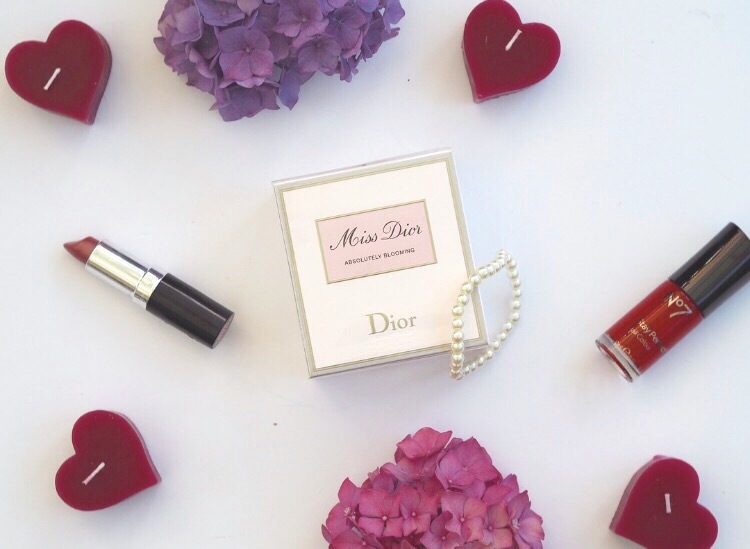 Knowing I liked the Miss Dior eau de toilette, but that it wasn’t that strong, I tried out the eau du parfum ‘Absolutely Blooming’, and I loved it! Another beautiful scent but this time it lasted for hours! I was sold. I knew I wanted to buy the fragrance in Boots, as I love collecting advantage card points, but it didn’t stop me from having a look online to see if another shop was offering it cheaper. It’s also worth looking to see whether there are benefits for buying in store or online. I was told by the sales assistant in Boots that it’s always better to shop in store for fragrances as they can give you exclusive gifts, but actually for one of the scents in my shortlist, there was an online only offer for a free gift, so make sure you take a look before making your purchase. Shop savvy by checking for discount codes, bonus point events and other special offers that may help maximise your purchase. I hope this has helped anyone else struggling to find the right scent for them. Above all else, have fun with your search. The perfect fragrance for you is just waiting to be found. Every time I go into town I always ask for samples as I like to try something new each time. Some great tips for finding the perfect fragrance. This is really useful. I’ve always gone with the same old perfume but I think I should go searching for a new one now! It never occurred to me to buy a bridal scent so i never did. Although when we renew our vows i will totally be taking more time to find one! This is great advice for new perfume shoppers. It can be pretty expensive and overwhelming.